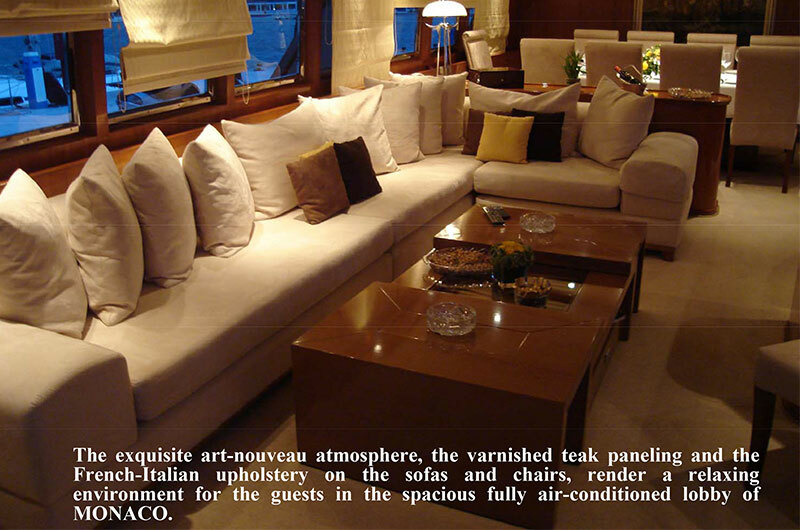 The exquisite art-nouveau atmosphere, the varnished teak paneling and the French-Italian upholstery, on the sofas and chaira, render a relaxing enviroment for the quests in the spacious fully air-conditioned lobby of M/Y Monaco. 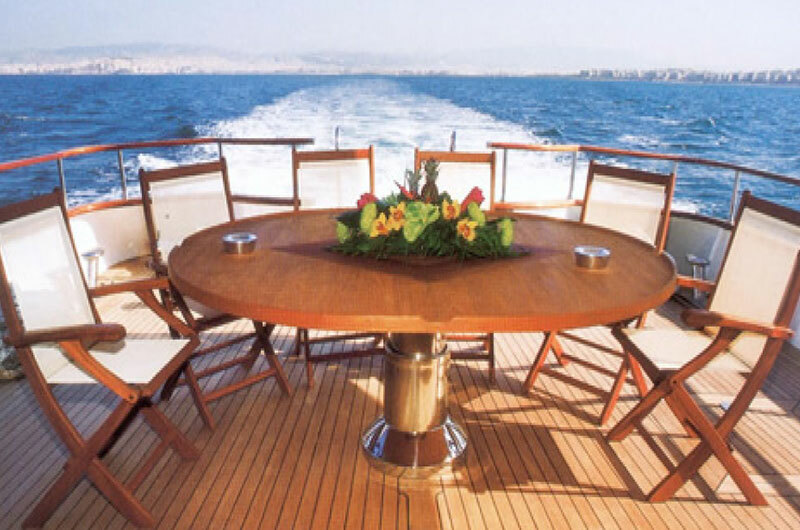 The dining area comfortably seats ten guests with its crystal glasses and high quality china. 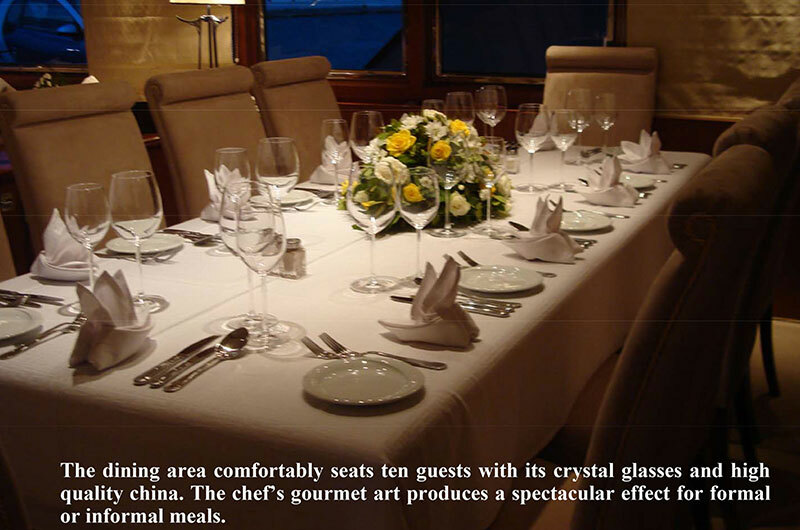 The chef’s gourmet art produces a spectacular effect for formal or informal meals. 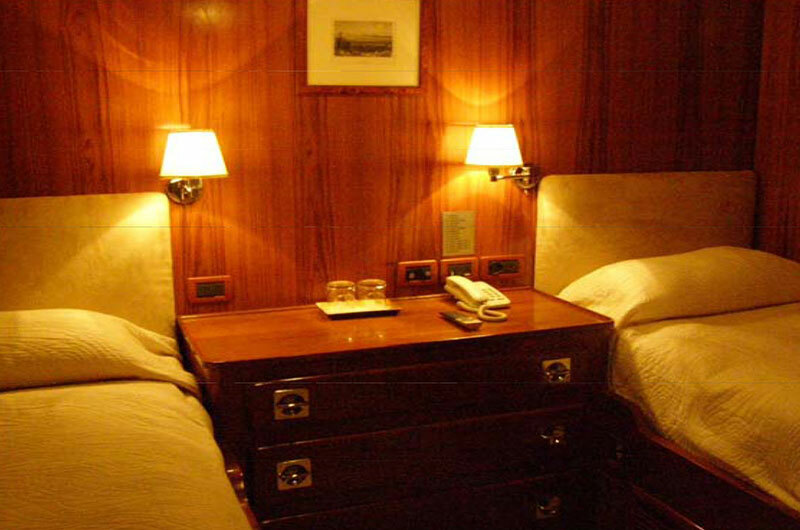 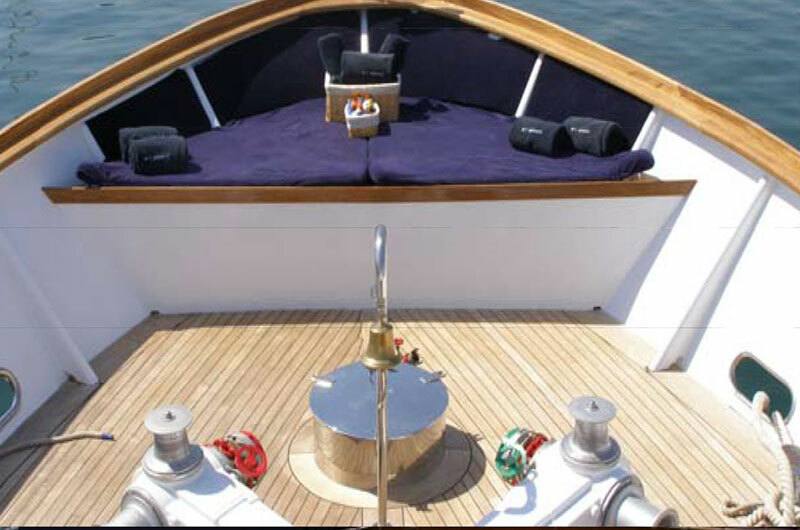 The Master Cabin, as well as all of the interior, is finished with varnished teak. 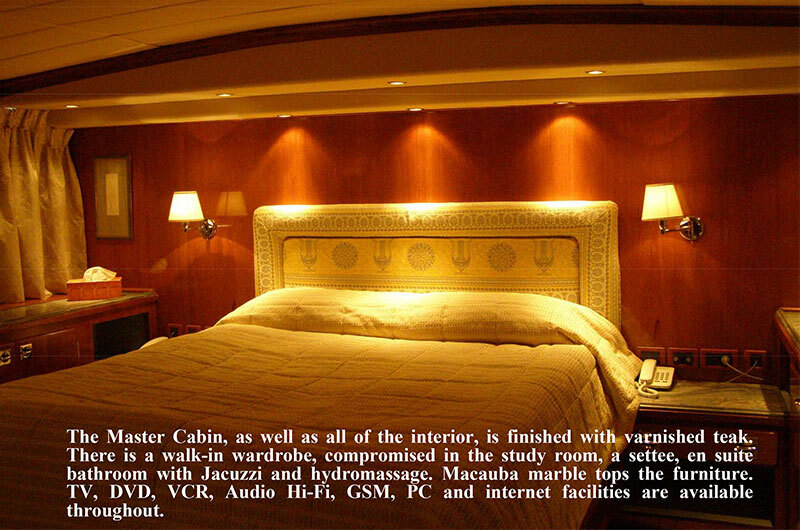 There is a walk-in wardrobe, compromised in the study room, a settee, en suite bathroom, with Jacuzzi and hydromassage. 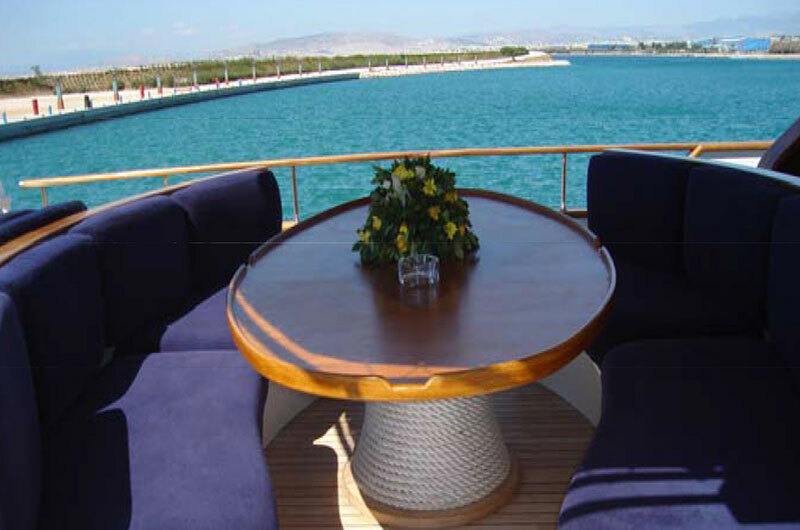 Mecauba marble tops the furniture. 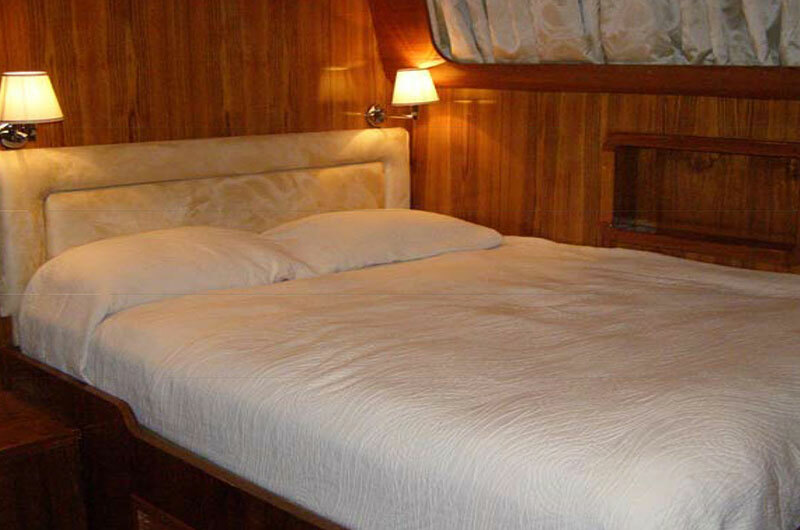 TV, DVD, VCR, Audio Hi-Fi, GSM, PC and internet facilities are available throughout. 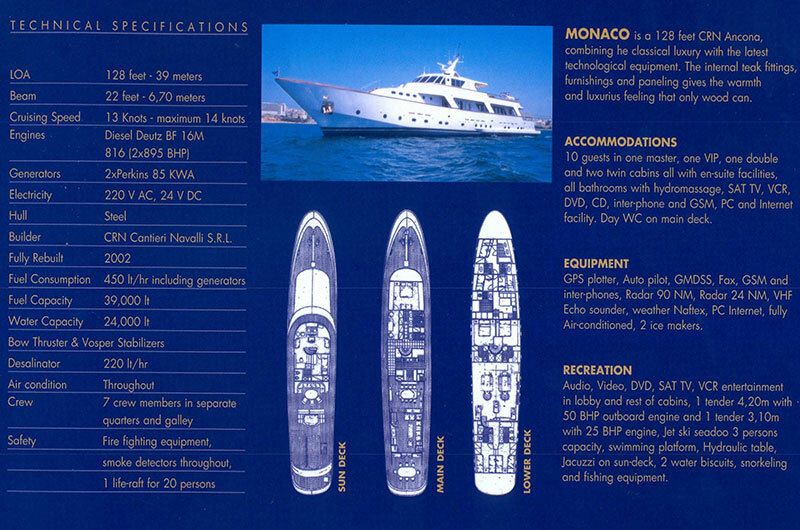 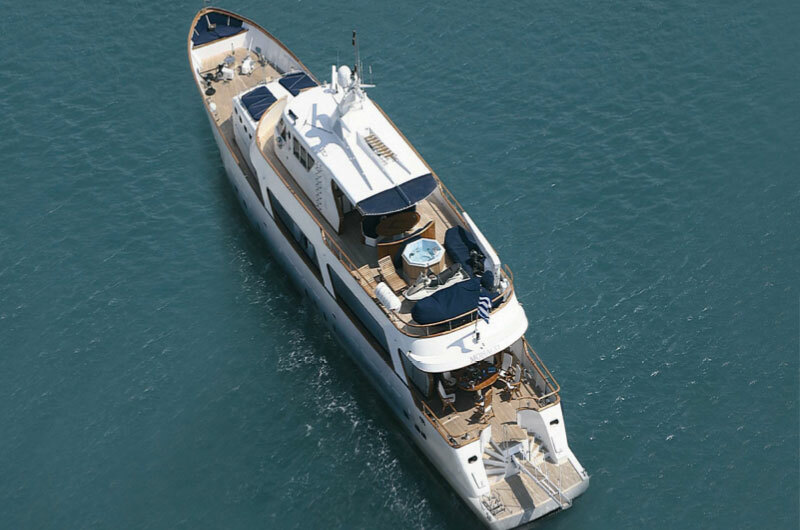 Monaco has another 5 cabins, 2VIP, 2 twins and one semi-double, all with en suite facilities, fully air conditioned and equipped with all the indoor entertainment, such as DVD, TV, Audio and Internet connection. 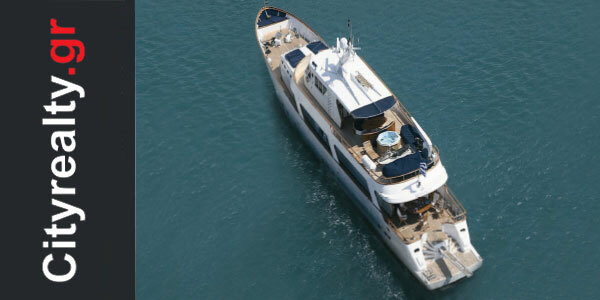 Experience the beauty of the Mediterranean islands, while relaxing in the Jacuzzi of Monaco. 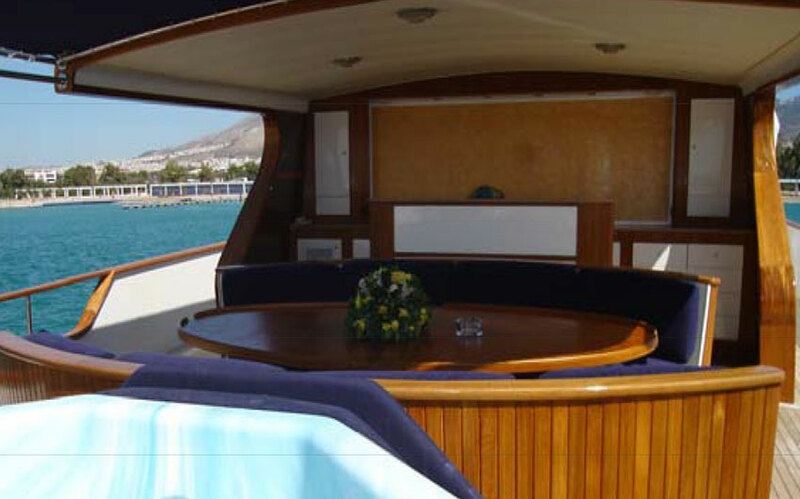 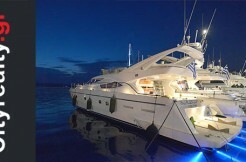 Enjoy the sunset whilst having a gourmet dinner on the sundeck, using the facilities of the open bar as well.